Have you ever thought to yourself: “I wish there were more spiders in my house/apartment/life” ? 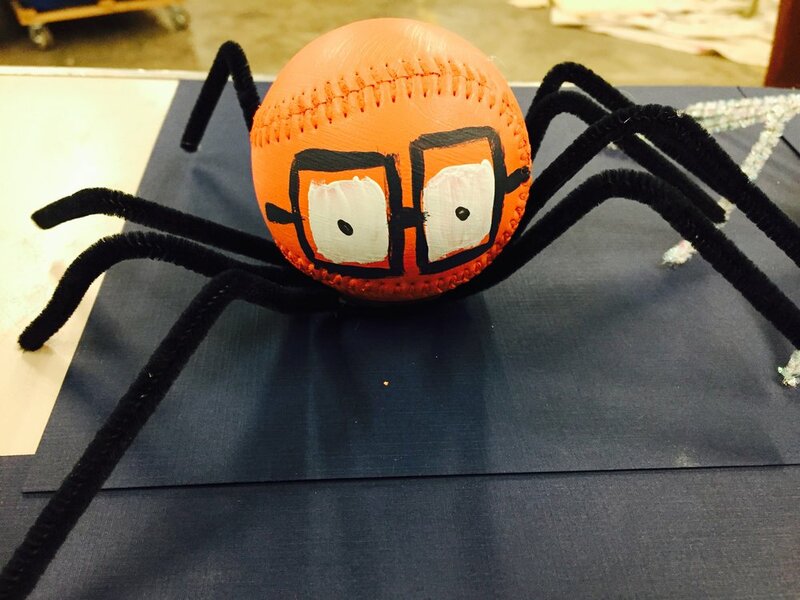 This is an easy DIY Halloween craft for kids AND adults, created by a Durham ReStore staff member. Get your chalk paint--Our ReStore has 16 colors of recolor® chalk paint for you to choose from. 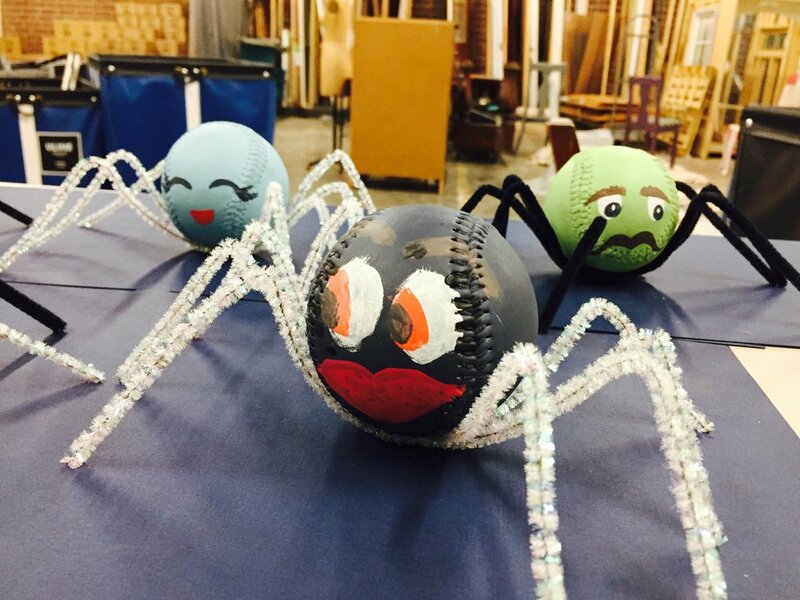 Check our sports section for softballs or golf balls. Other materials can be found at most craft stores. Step 1 - Choose what color you want your spider’s body to be. 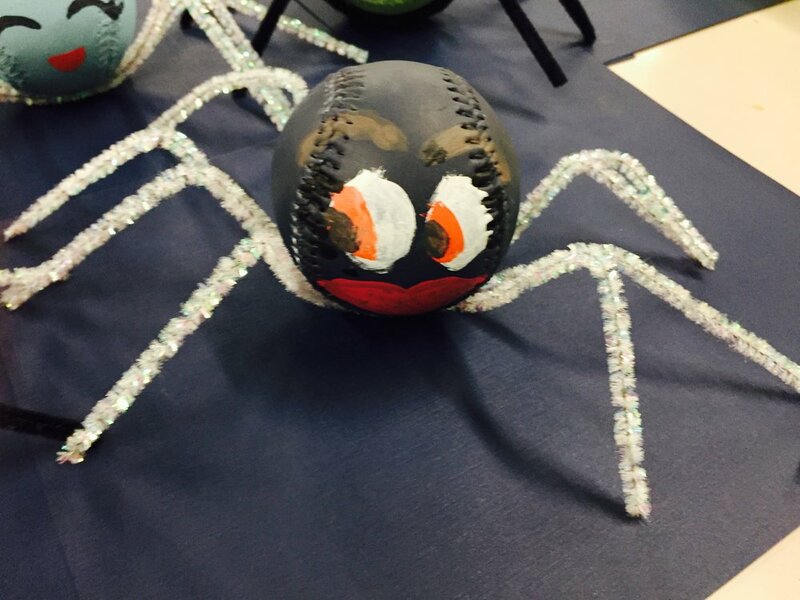 Paint the softball with your chosen color of chalk paint. *Pro Tip: To avoid fingerprints, we found it easier to paint half the ball, let it dry, and then paint the other half. - Paint different-shaped eyes and eyebrows. - Is your spider happy? Mad? Sad? Mischievous? Paint the face accordingly! - Go wild with Google eyes, spooky eyes, eyelashes, glasses, a mustache, buckteeth, a grin, a grimace, a monocle, etc! Step 3 - Prep for spider legs. Let the paint dry. Plug in the hot glue gun with the glue cartridge. Once it is hot, you are ready to attach the legs. Step 1 - Turn over your softball to where you want the legs to start. Apply a 1- 1 ½ inch line of hot glue and press the center of the pipe cleaner along the glue. 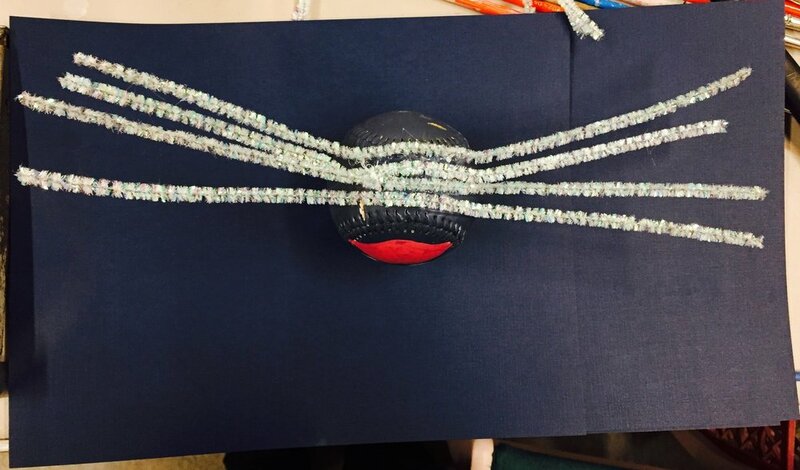 The ball should be centered on the pipe cleaner, making 2 equal-in-length “legs” on either side. Once secure, repeat this process 3 times, gluing the pipe cleaners parallel to one another. Step 2 - Once the hot glue is set, bend the legs up and down to look like spider legs. 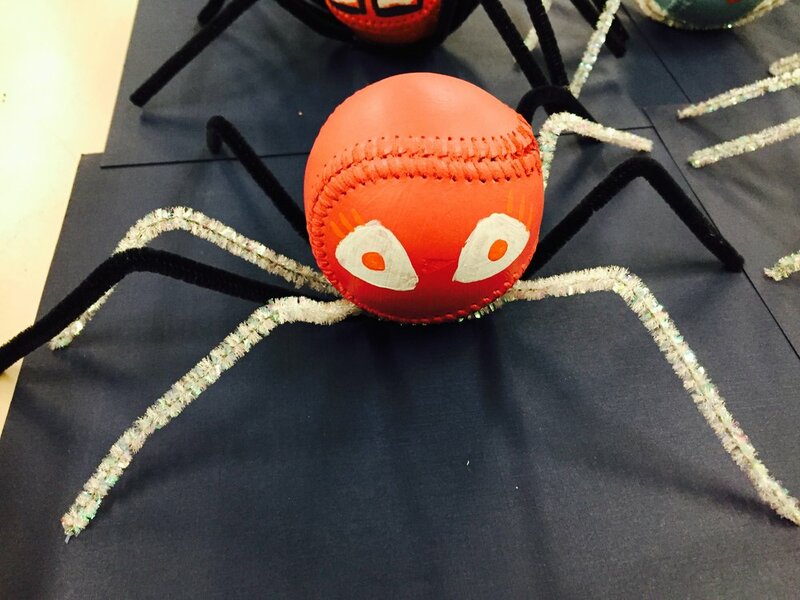 The pipe cleaners make it possible to pose the spiders however you want! Ta-Da! Now you know the secret to making a pose-able spider. Use your powers for good(or evil): Make a spider clone army. 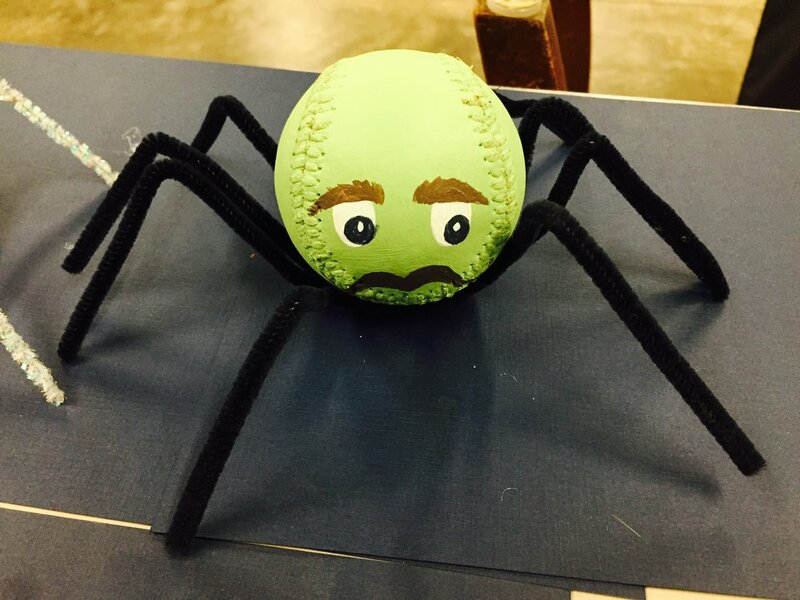 Make superhero-themed spiders. Make unicorn spiders. Make elf/Santa/Christmas spiders! The world is your spider web. 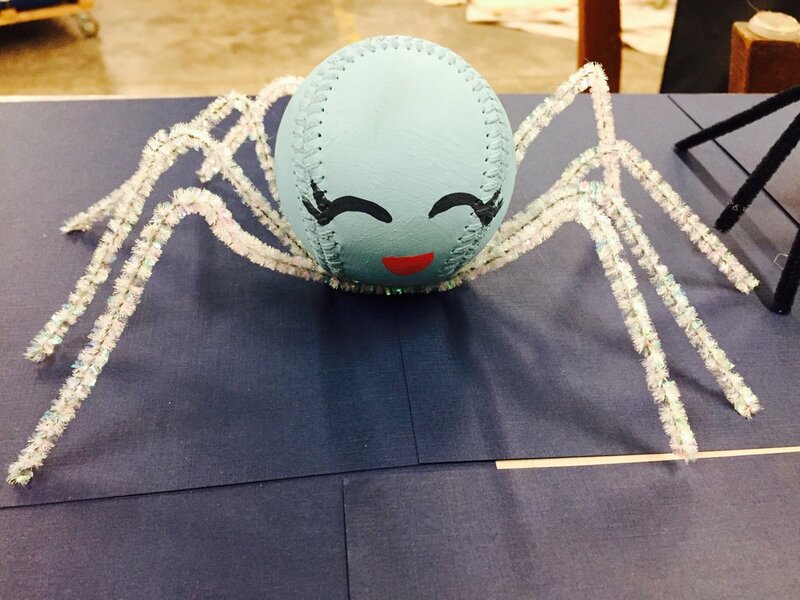 So go on, fill your home with softball spiders and include them in all of your home décor! Sign up to get updates for ReStore workshops!